A moderate earthquake occurred in the central region of Alaska and was located 7 km (5 miles) E of Kantishna and 93 km (58 miles) W of Cantwell. About 80 aftershocks were located in the first 24 hours after the mainshock, with the magnitudes as small as 0.4. The largest aftershock, magnitude 3.9, occurred about 21 hours after the mainshock. This event was located inside the Denali National Park. The area is instrumented with a dense array of high quality seismometers which allowed AEIC to detect and locate small aftershocks. This event was felt widely in central Alaska as far as Fairbanks in the north and Anchorage in the south. The largest intensity of shaking (IV, light) was reported in Cantwell, Clear and Talkeetna. This event was located within the Kantishna seismic cluster. 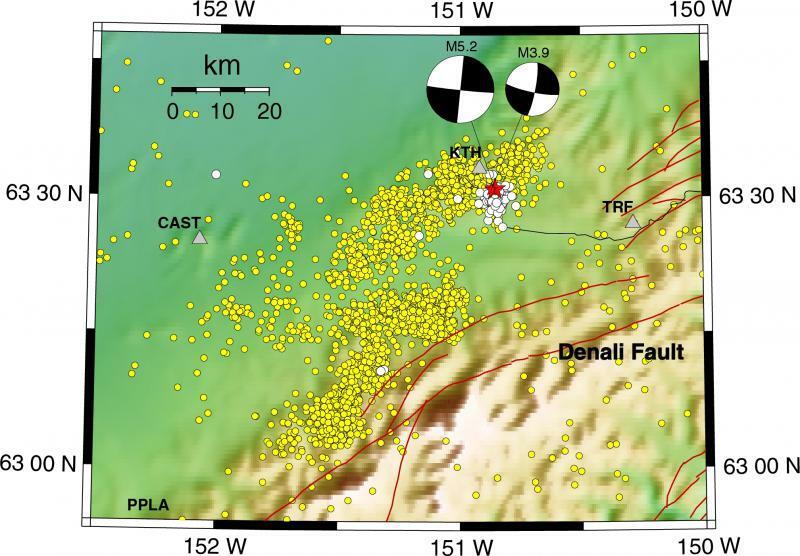 It is a very active source of crustal earthquakes located between the NNE-trending Minto Flats seismic zone to the northeast and the Denali fault in the south. This cluster is believed to accommodate deformation caused by interaction between these large crustal tectonic structures. Dozens of small earthquakes occur in the cluster every week. This is the largest event in the cluster since the magnitude 5.2 earthquake on December 8, 1984. Both the mainshock and largest aftershock are strike-slip earthquakes. The faulting can be associated either with the right-lateral motion on W-E trending fault or the left-lateral motion on N-S trending fault.